Summer Vacation! A time when I can take a deep breath and slowly exhale! But before I can start watching a whole host of movies and TV series on DVD, I have to finally get around to writing about the movies I watched this Spring (some of these I actually watched as far back as January). Yikes. Mildred Pierce: a two part HBO series that is a remake of a 1945 film of the same name. The title character is played by Kate Winslet as the mother who is both ambitious for herself and her daughter (Evan Rachel Wood -- she sure has played some freaky characters for such a young actress). I had heard the movie dragged but I liked it. I think it revealed what it might have been like to be a woman with ambitions in the 30s and 40s even though this particular woman was a tad off her rocker. Despite the craziness of some scenes or maybe because of it, this series was fascinating to watch. 50/50: Joseph Gordon-Levitt and Seth Rogen play two randy young men about town. This movie starts out as a buddy movie but quickly turns toward a much more serious topic: cancer. Levitt’s character learns he has a rare cancer in his spine and has to learn to cope amid his hip-happening lifestyle. 50/50 is well acted and says something real about patients and friends who go through this diagnosis even if at times it seems overly trite on the topic. Cedar Rapids – Ed Helms plays a lovable, naïve goof ball (similar to his Office character, actually) who is also a small town insurance agent who goes to the mid-sized town convention where he encounters all kinds of new experiences from silly to absurd. I was kind of ho-hum about this movie although it did have some original moments. Secretariat – I did not see this movie when it first came out but was at the library so I thought what the heck. I liked it even if the script was full of cliché’s of the sports movie variety. Predictable but not the worst. P.S. I Love You – dumb, sorry I watched it, but did watch the whole thing, so maybe it wasn’t that dumb. No, it was that dumb. – I had heard this naturalistic indie film about the romantic lives of two hipster-types was good. What I found was a painful trip through two not very likable characters kind of boring relationship. Did NOT like. 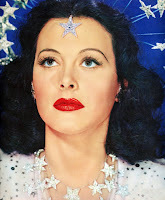 Zeigfield Girls (1941) – The CBS Sunday Morning Show profiled Heddy Lamarr who was a fascinating person: she was both one of the most beautiful actresses in Hollywood and a brilliant mathematician. After seeing this profile, I decided to watch one of her most famous movies, Zeigfield Girls. Every once in a while I like to watch an old movie just to remind me how far movies have come, especially in the way they portray women and minorities but in this film there are so many other fascinating weirdnesses for the modern eye. 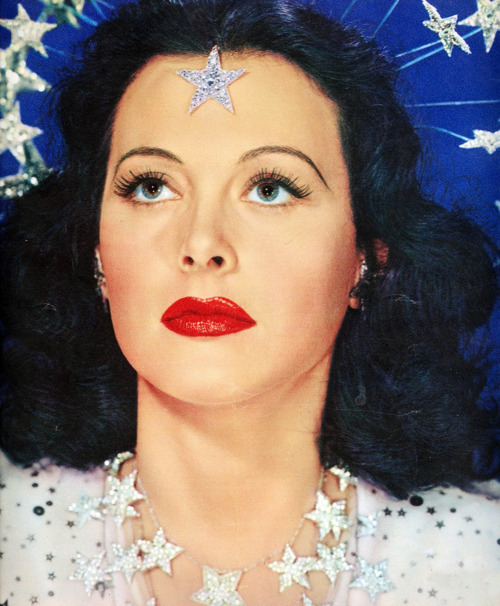 Heddy Lamarr plays a married woman who is forced to become a Zeigfield girl because she and her husband are near financial ruin. Her story is just one of many in the film of women who seek the dream of become one of these famous dancers. Others in this ensemble cast are the likes of Judy Garland, Lana Turner, and Jimmy Stewart.